NJLS ZipShip allows clients to create an online work-order slip and upload documents while NJLS prints the entire document and delivers it on the date specified. Today’s legal and business professionals have limited time and resources. Sometimes they do not even have the time to reach an NJLS Drop Box Location. As a result, they may not have the time to print a 100-plus page document that must be delivered the following day. With NJLS ZipShip, we do all the printing and can get the documents delivered the same day. Clients create their slip online, as usual, then email their documents to us, along with the New Jersey destination address and either the slip number or slip itself by 7 a.m., and we print them, package them and get them to their location by the end of that same business day. Your ZipShip packages can be tracked online via the NJLS Client Login site. 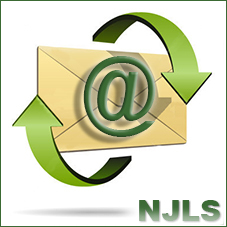 For more information about NJLS ZipShip, or to send packages overnight to NJ only, please contact us/send your docs to: zipship@njls.com or calling (908) 686-7300.